Several older Apple iPhone and iPad models infringe on a patent held by Samsung, a judge at the U.S. International Trade Commission said on Tuesday. In a final ruling (PDF), the ITC said Apple infringes on a Samsung patent related to cellular technology with AT&T models of the iPhone 3GS and 4, along with 3G models of the iPad 1 and 2. As part of the ruling, the ITC has issued a limited order to bar those devices from sale in the U.S. The decision is final, though Apple can appeal it to the Federal Circuit, or as FOSS Patents notes, bid for a reprieve from the White House. Apple and Samsung did not immediately respond to request for comment. 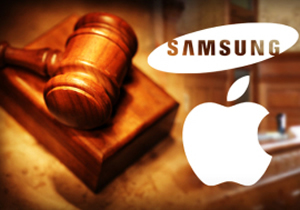 Samsung originally filed the case against Apple in June, 2011 -- some two months after Apple sued it, beginning the all-out legal war between the two tech giants. In it, Samsung accused Apple of infringing on several of its patents, and sought import bans on certain iPhones, iPods and iPads. Tuesday's decision was originally expected last week, though was delayed several other times. The case is separate from a complaint lodged against Samsung by Apple, accusing Samsung of infringing on several Apple patents. An initial ruling found Samsung infringing on four of Apple's patents, though a final ruling in that matter isn't due until August 1st. Technology companies in recent years have increasingly turned to the ITC to settle their disputes. Companies can pursue an ITC case in parallel with civil lawsuits, and the threat of an embargo on products typically forces companies to settle more quickly. However in the case of Apple and Samsung, the two companies have continued to fight through to the end. This particular case is just one of many fights between the two companies, which are facing off in courts around the world. Despite that, the two continue to do business with one another, with Samsung supplying several key components used in Apple's products. Josh Lowensohn joined CNET in 2006 and now covers Apple. Before that, Josh wrote about everything from new Web start-ups, to remote-controlled robots that watch your house. Prior to joining CNET, Josh covered breaking video game news, as well as reviewing game software. His current console favorite is the Xbox 360.